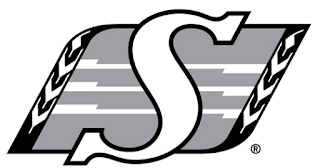 The Saskatchewan Roughriders have signed national running back Johnny Augustin, national defensive back Adam Laurensse and national defensive lineman Cory Robinson. Augustin (5’8 – 202) joins the Riders after spending five seasons at the University of Guelph, where he registered 2,921 rushing yards and 28 touchdowns in 37 career collegiate games. The 24-year-old was acquired by the Riders in December’s CFL negotiation list draft. He attended 2017 training camp with the Edmonton Eskimos after originally signing with the team as an undrafted free agent. Laurensse (6’1 – 185) joins the Riders after spending five seasons at the University of Calgary, where he collected 125 career defensive tackles and 16 interceptions. He was named a Canada West All-Star for five straight seasons. The 24-year-old was originally selected by the Calgary Stampeders in the 7th round (61st overall) of the 2017 CFL Draft. He was acquired by the Riders last August. Robinson (6’3 - 251) joins the Riders after playing four seasons at the University of Calgary. The 23-year-old registered 86.5 defensive tackles, 19 tackles for loss and 14 quarterback sacks in 40 career collegiate games with the Dinos. He was named a Canada West All-Star in 2015 and 2017. A top-notch team seems certain to emerge from this year's training camp. Can't wait! Winnipeg and Sask to battle for 1st place it would seem, depending of course on injuries during the season. Augustin is indeed the Real Johnny Football! An able replacement for the departed Greg Morris and he can learn how to be a pro from one of the best, Jerome Messam.